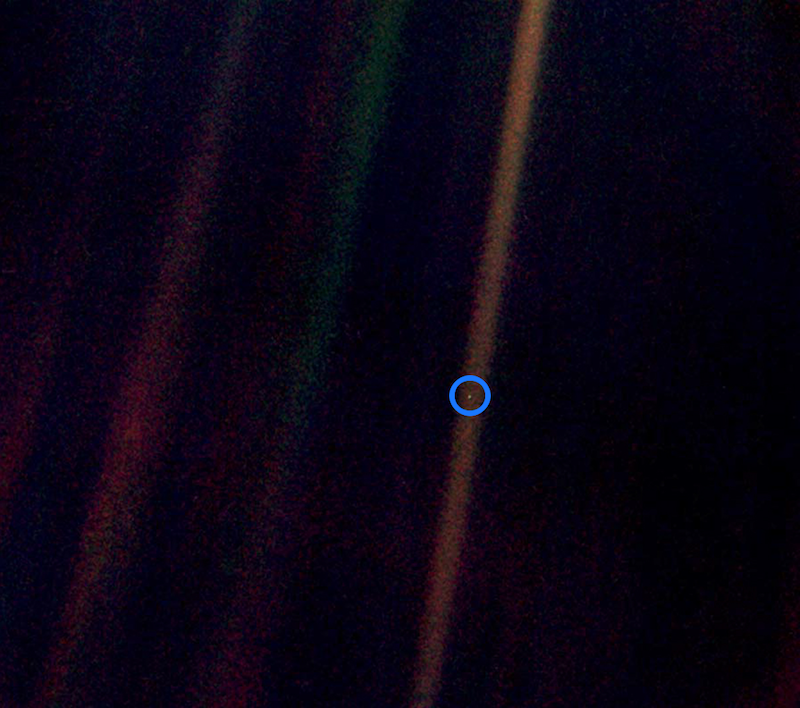 On February 14, 1990, the space probe, Voyager 1*, took this photo of Earth in a sunbeam from about 4 billion miles (6.4 billion km) away. The blue circle was added by NASA to indicate Earth, otherwise our planet would have been mistaken for a speck of dust. When I look at this photo, everything falls away. The sunbeam is so powerful and vast as it extends through space and Earth is so tiny — a pale blue dot. I once saw a picture comparing the size of our sun to Antares, a red supergiant star whose diameter is 700 times our sun’s diameter. In the picture comparison, the sun was 1 pixel compared to the size of Antares. The Earth could not be seen — she was microscopic. Yet we humans, on our speck of dust, are capable of such curiosity to learn about our place in the cosmos. Being curious, focusing our attention, learning the disciplines to help us, dancing with the unknown waiting to be revealed — these human capacities are always available to be accessed and developed. And for those who helped create and launch Voyager 1, what an achievement to work together and make possible what would have been impossible 100yrs earlier.